This HomeSteps property can be a cozy 2 bedroom, 2 bath , 816 SF ranchette with your correcting deferred maintenance. 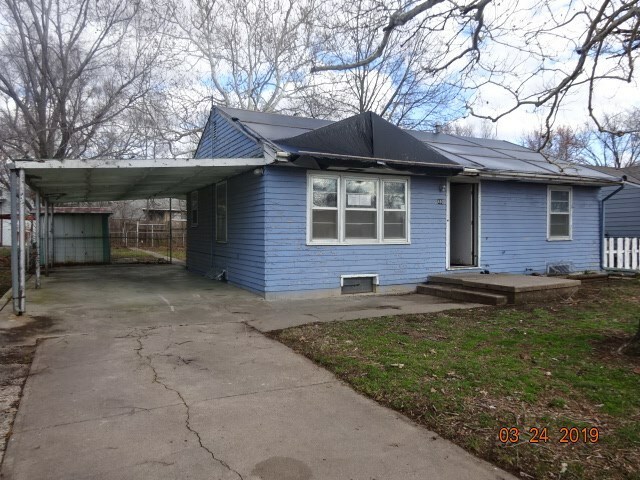 Located on an interior treed lot, with 1 carport and fenced yard, it has an unfinished basement "Seller will NOT complete any repairs to the subject property, either lender or buyer requested. The property is sold in AS IS condition." Home was built before 1978 and potential of LBP exists. Buyer must verify information accuracy with Selling Agent / Broker performing their due diligence on the accuracy of any data and information given herein for them, including by inspection(s). All information in this listing is gleaned for credible sources and are believed reliable but is not warranted or guaranteed, and before any reliance or use, it should be independently verified. Suggestions, advice, strategies and all other like information are general in nature, are not based on knowledge of your specific circumstances, and should be used only after your own independent verification of reliability, application of independent business judgment and due consultation with your tax, technical, legal, real estate, accounting and/or other professional advisors. As to any information reporting on the performance or results of others or indicating findings, conclusions or estimates, please be aware that normally your own individual results will vary and will reflect other aspects specific to you and/or your unique circumstances. Buyer should verify school assignments as they are subject to change.